Welcome to MADE in Lake County! MADE introduces you to the people and stories behind local Lake County businesses. This month we have gotten to know Amanda Marijanovic. Amanda is the Owner of Taste Buds Kitchen in Bannockburn. Today we are going to learn more about Taste Buds Kitchen. Are you looking for a way to cultivate creativity in the kitchen? Do your kids love to cook or want to learn how to cook? Is there a global cuisine you’ve never tried because you lacked the skills or kitchen equipment? Maybe you’d like to plan a culinary event or birthday party — but not in your home kitchen. 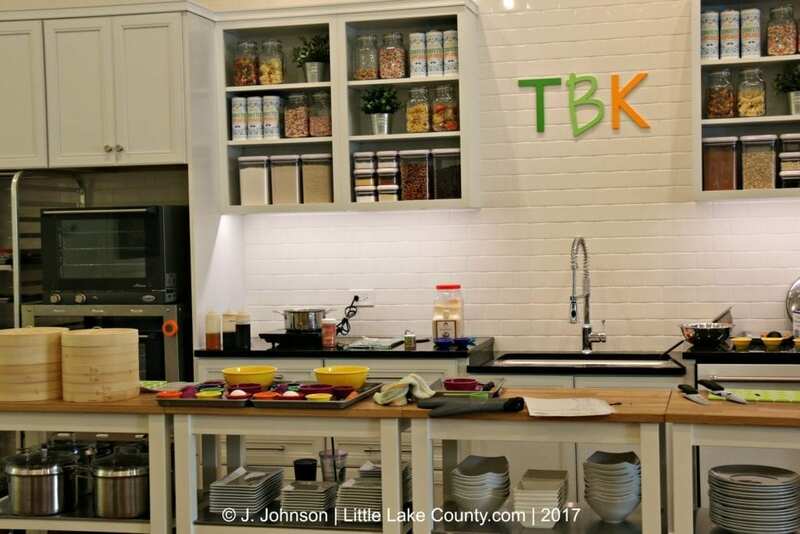 If any of these scenarios ring true for you, Taste Buds Kitchen in Bannockburn is your new go-to source for culinary adventure and entertainment. 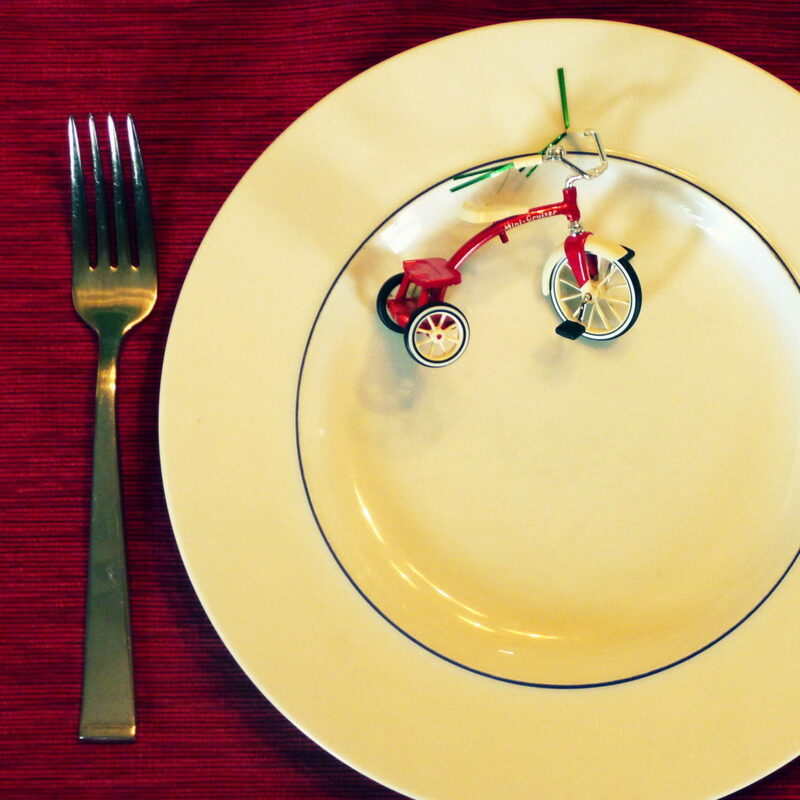 We all know that kids’ tastes and preferences develop at a young age. And Taste Buds Kitchen offers an impressive variety of culinary techniques and menus, including many global cuisines, for kids of all ages — from the youngest chefs-in-training to adults. Children as young as age two can take a class with a parent or caregiver, camps are offered for children as young as age four, children ages five and older can attend kids’ night out events, and family classes incorporate children as young as age two, depending on the menu. Workshops are also offered for teens ages 13 – 18, which is great because I know firsthand that it’s hard to find workshops for teens that meet their skills and interest levels. Recently my tween daughter and I attended a Sushi & Dumpling family workshop. We both have a passion for Asian food, but taking a cooking class together was a “first” for us. We enjoyed learning new techniques and having an expert kitchen staff available to give us pointers as we cooked. But the best aspects of the workshop was the block of distraction-free time together, and the fact that the shopping, basic preparation and clean-up was handled by the kitchen staff. We could focus wholly on our time spent together in the kitchen, and we didn’t have to purchase any specialized equipment or gadgets. We arrived at Taste Buds Kitchen to a large, immaculate and organized storefront, where everything was clearly labeled, sorted and beautifully arranged. I’ll admit, I was quickly overcome with kitchen envy. After being welcomed into the kitchen and turning in the required waiver, we were directed to our table which we shared with another family. Snacks were placed at each table, and we socialized with our table-mates before class started. 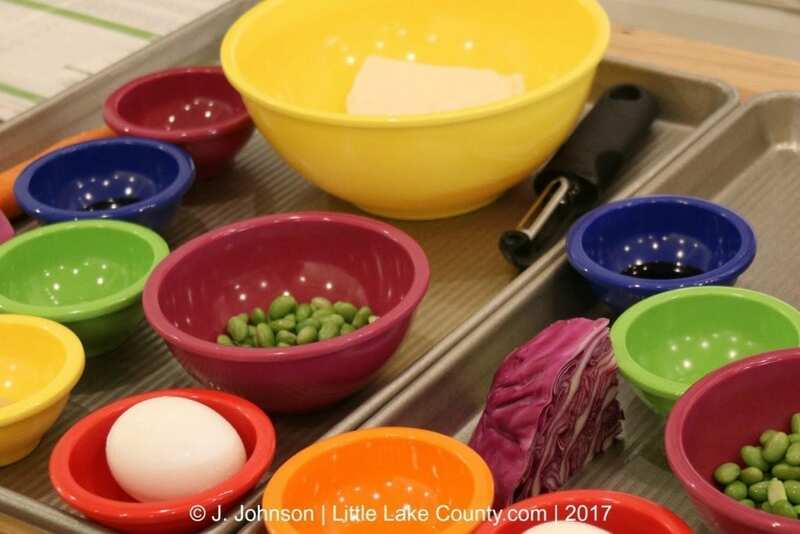 The instructor and her assistant were busy parceling out produce and arranging and preparing ingredients into colorful bowls for the class. We washed our hands and eagerly awaited class to begin. 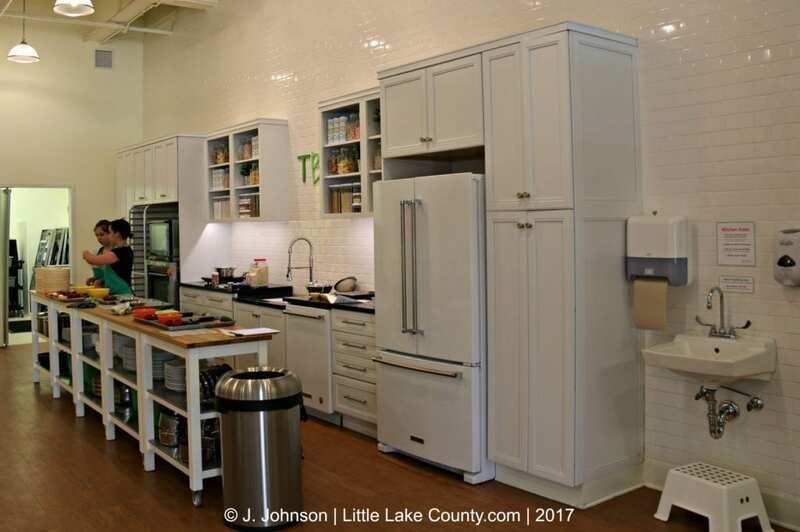 When class began, attendees grouped around the main countertop at the front of the kitchen. Our instructor, Mia, gave us an overview of the dishes we would be making, and explained what needed to be done to prepare the dish. Each table received a tray with ingredients, and each family had a knife and cutting board to use. 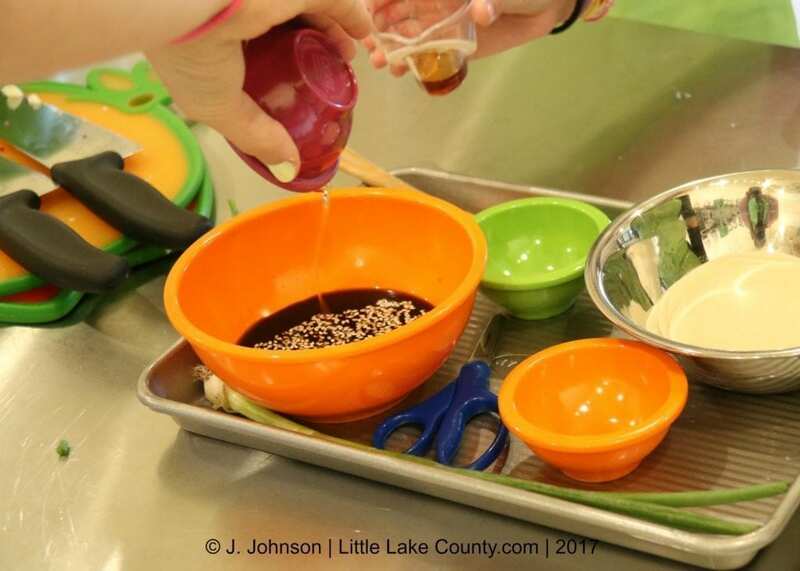 We worked together as a table to prepare and saute the ingredients for the vegetable dumplings and dipping sauce. 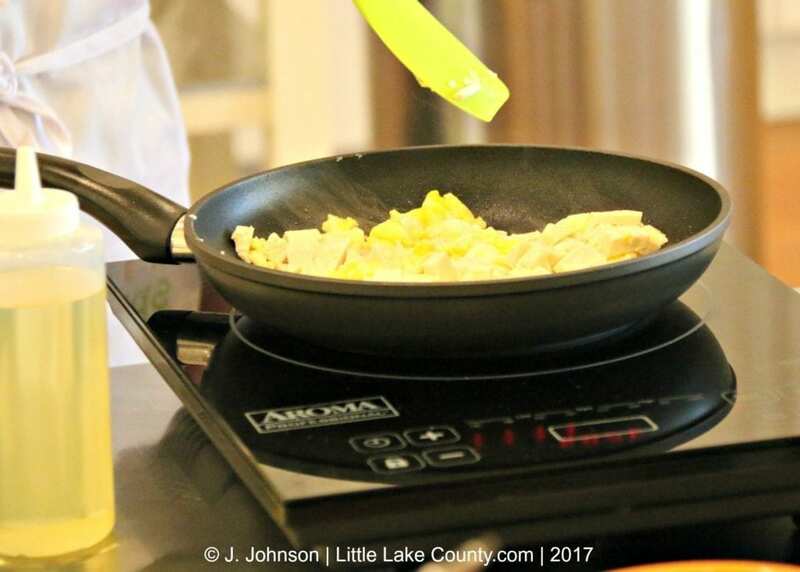 Every table was equipped with an induction range, a frying pan and a silicone spatula. Once the ingredients were cooked, we gathered around the countertop again for instructions on how to fill and fold the dumplings. The instructor set up the steaming baskets, and in no time, the dumplings were cooking. Next it was time to make sushi. Mia, the class instructor, explained that sushi chefs undergo years of training to learn how to prepare and roll sushi. As she demonstrated the process, Mia assured us that with a little patience and practice, we could do it, too. We received packets of sushi rice that was pre-cooked, cooled and divided, trays with all of the ingredients, and we eagerly accepted the challenge. We made maki and temaki rolls with rice, cucumbers, carrots, crabmeat, avocado and sweet potato. We learned how to arrange the rice inside and outside of the nori, position the ingredients, and manuver the bamboo rolling mat. 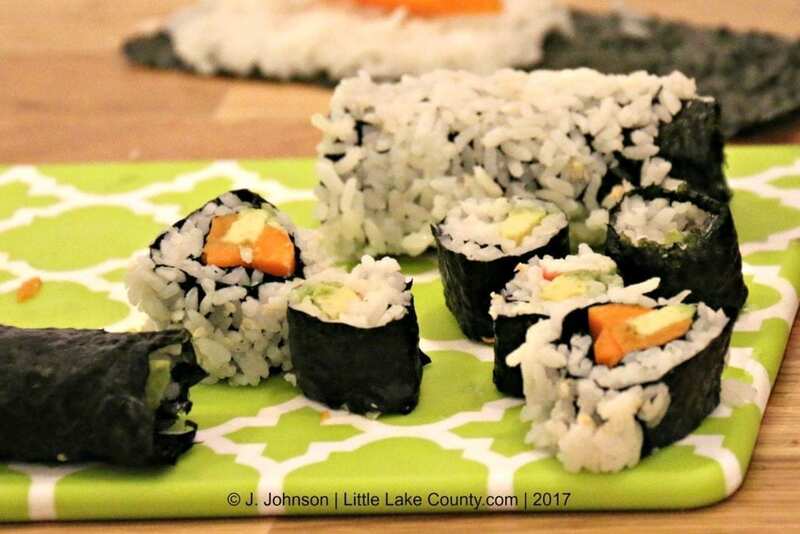 With a only a few minutes of instruction and a little practice (and some extra help around the table), we all successfully rolled our ingredients and sliced the rolls into bite-sized pieces. As we finished preparing the sushi, the kitchen staff unloaded the steamed dumplings and arranged them onto platters. The most delicious part of class, at the end, was enjoying the fruits — or vegetables, in this case — of our labor. Water and cups were provided, cutting boards were exchanged for small plates and colorful chopsticks, and our prep tables now resembled dining tables. The instructors delivered condiments: picked ginger, soy sauce and wasabi, along with a homemade sambo mayonnaise to add a little zing to our creations. We proudly snapped pictures of our plates, enjoyed a bite together, and requested take out containers for the remnants of our (fairly large) portions. 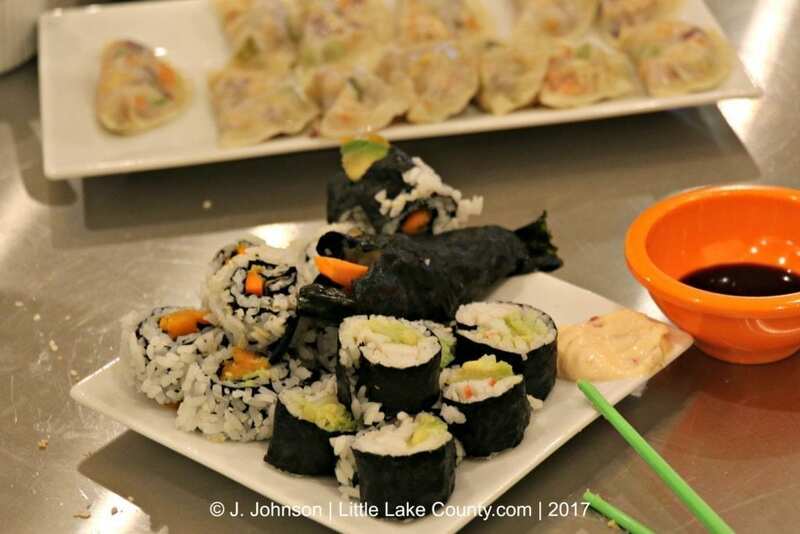 The Sushi & Dumplings workshop was geared for families with children ages nine and older, and we found that the skill level was appropriate for everyone at our table. Kids with smaller hands were given the choice to use a chef knife or a smaller paring knife. The kitchen staff walked around and helped as needed, and cheerfully answered any questions. 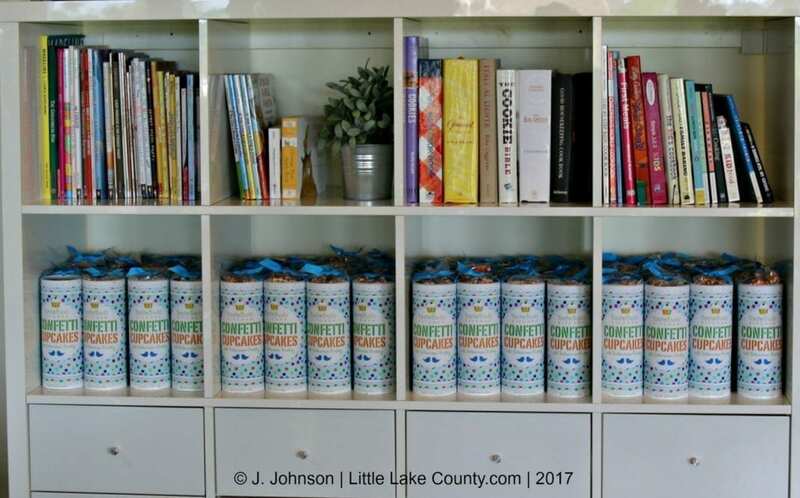 A few items are available for sale, such as aprons, chef hats, rolling pins, measuring spoons, water bottles, and a colorful Confetti Cupcake Mix. 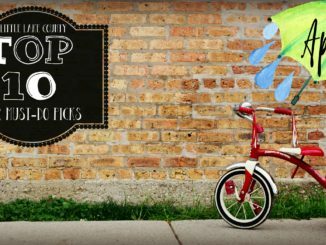 These items are perfect to additions include with a Taste Buds Kitchen gift card, or as a special remembrance of the class you took with your child, or as a party favor. Overall, our experience was fun and engaging. The kitchen was attractive, colorful and kid-friendly, but not so overwhelmingly child-centric as to make adults feel uncomfortable. This instructor was terrific, and made us all feel confident that we could master the menu. We enjoyed working together to learn new skills and use the kitchen tools, and we produced a respectable, finished product that tasted delicious. 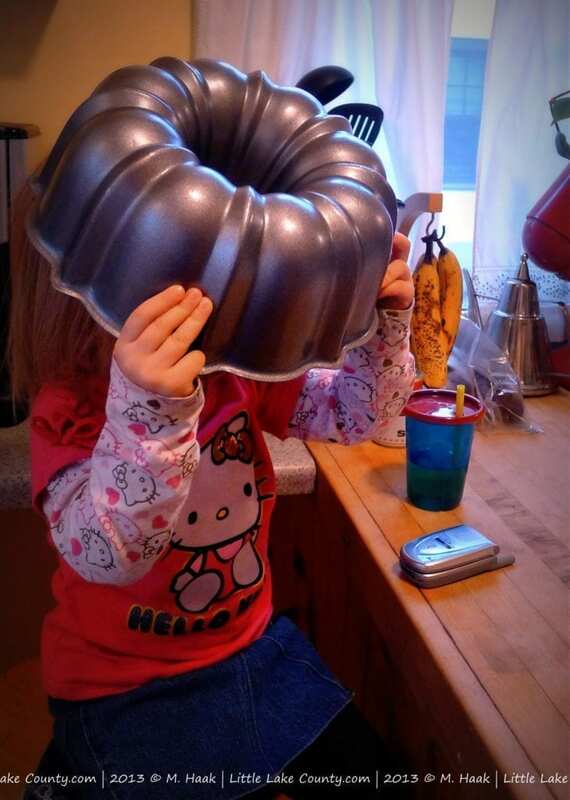 My daughter and I are looking forward to using the recipe booklet handed out at the end of class at home. 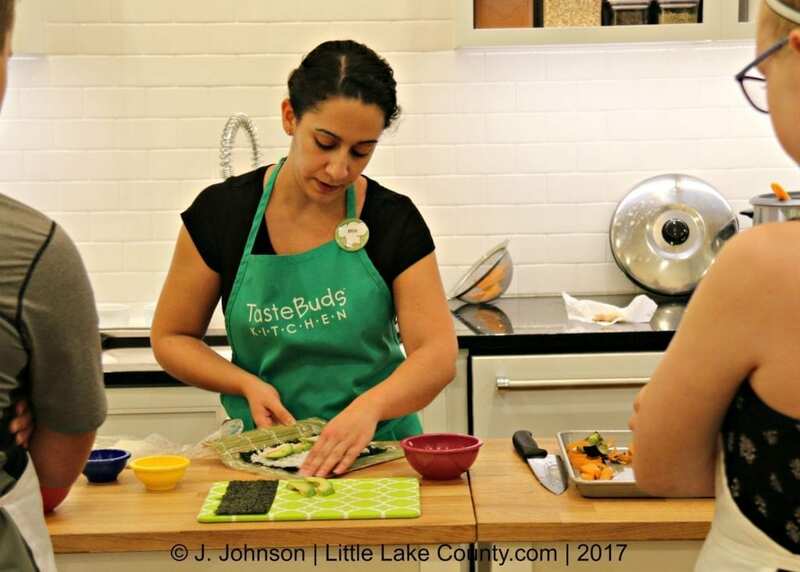 And I’ll definitely be keeping an eye on future classes offered at Taste Buds Kitchen for my family as well as classes and workshops for my kids. 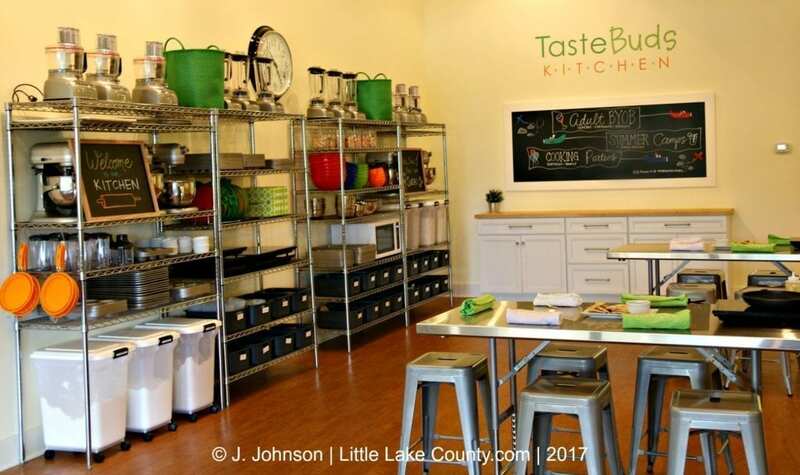 Taste Buds Kitchen is open for events daily from 8:00 a.m. – 11:00 p.m.; office hours are Monday through Friday from 8:30 a.m. – 5:30 p.m.
Disclosure: Taste Buds Kitchen Bannockburn is our featured MADE in Lake County Business of the Month. 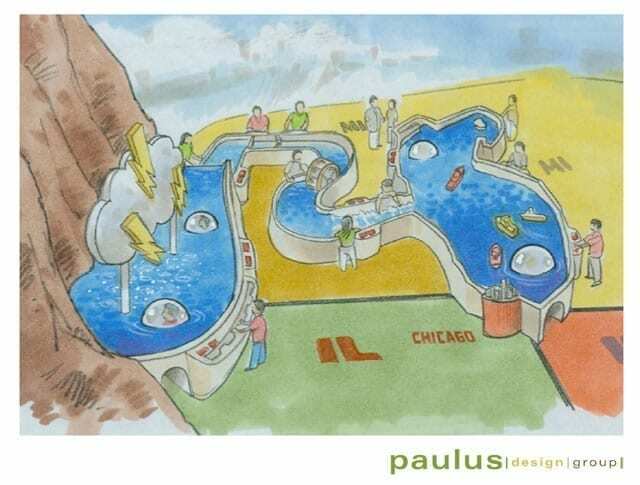 This series of features is part of a paid partnership with Little Lake County. Contact sales@littlelakecounty if you are interested in featuring your own locally-owned business in our series.